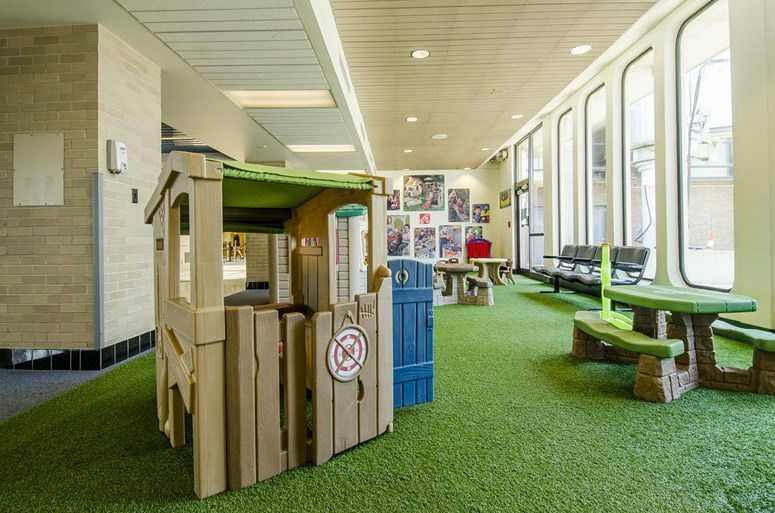 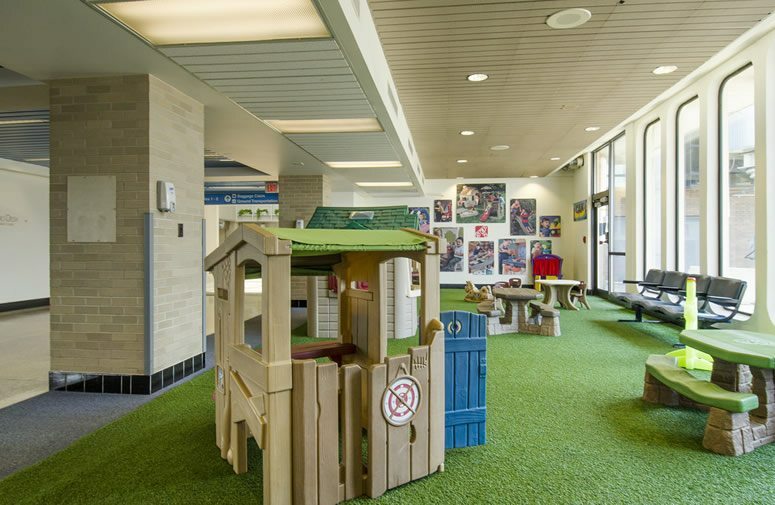 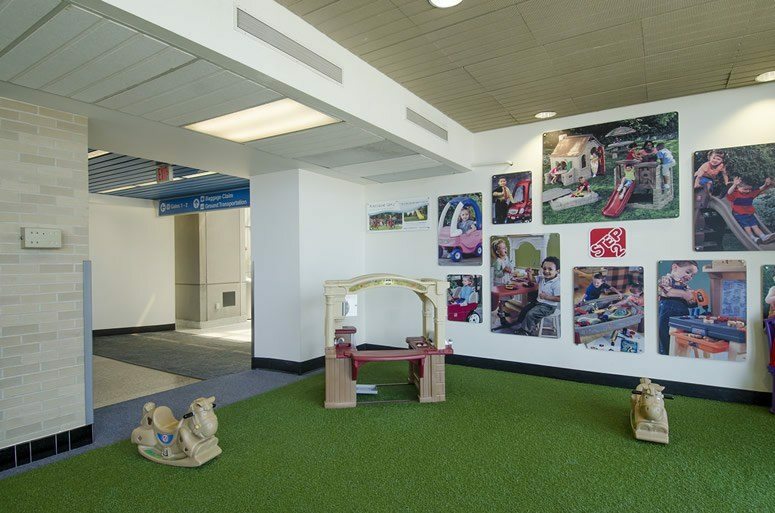 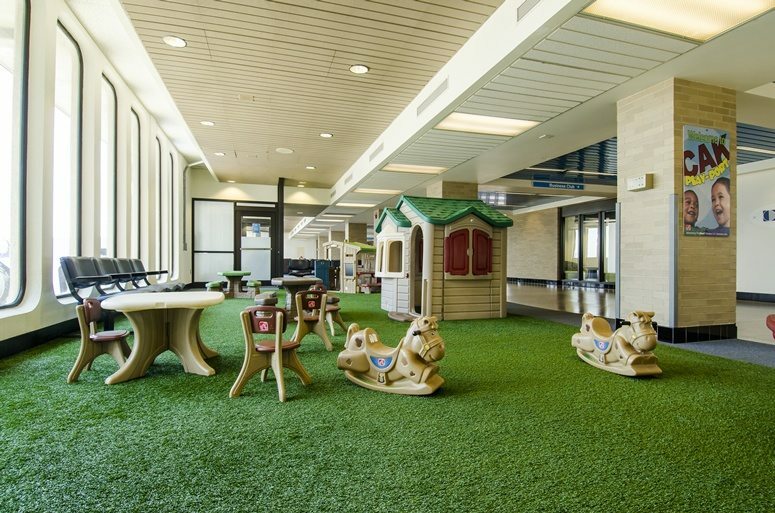 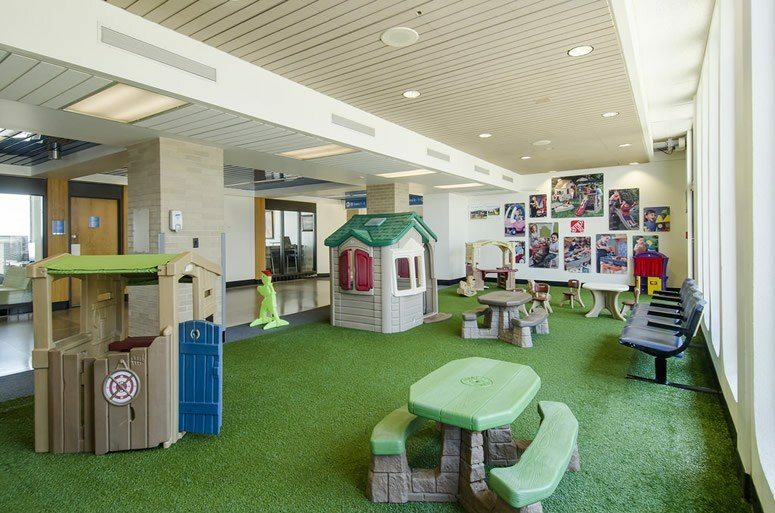 Akron-Canton Airport wanted to create an area where children can let out all that pent-up energy they have from traveling and sitting for long periods of time. 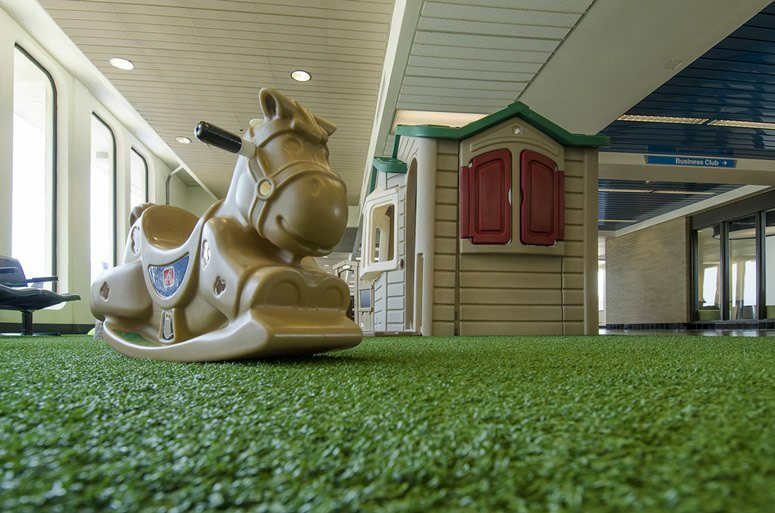 Step2 provided the play equipment, and they turned to us to provide a safe and attractive surface for the “PlayPort”. 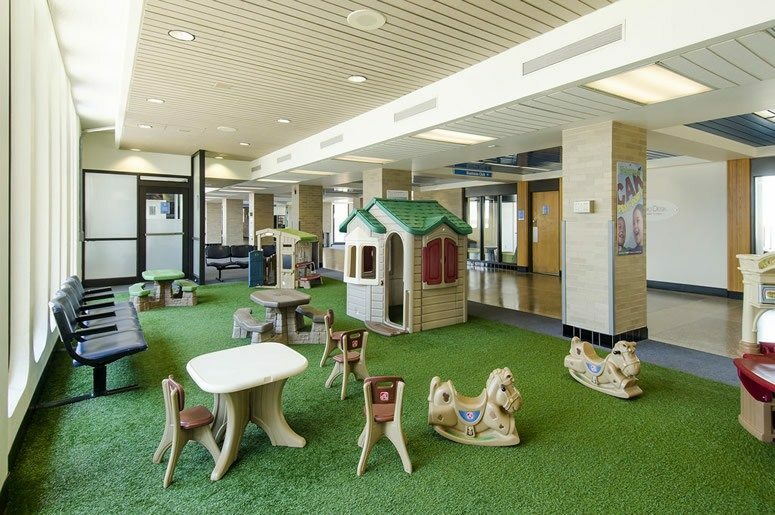 Playground Grass was installed for a safe, soft, and easily maintainable surface, and now kids can run and play carefree. 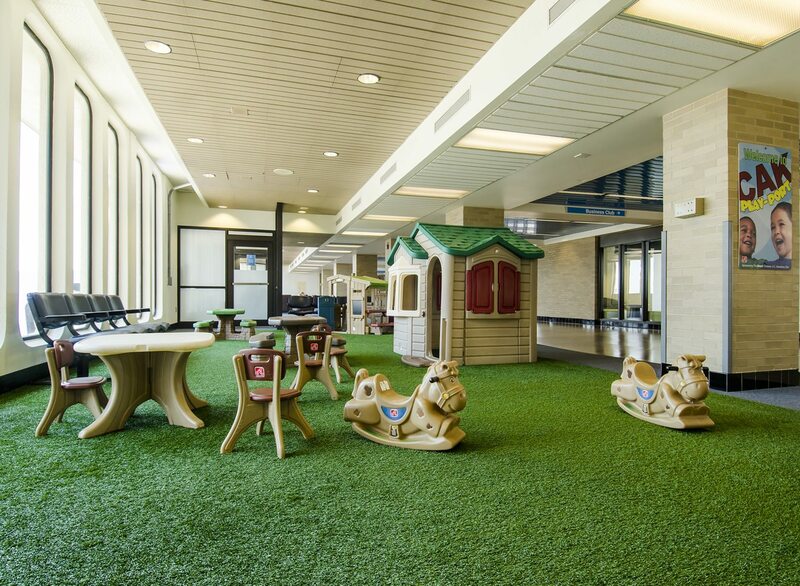 We jumped at the opportunity to help out a local establishment that’s so close to the ForeverLawn home office!